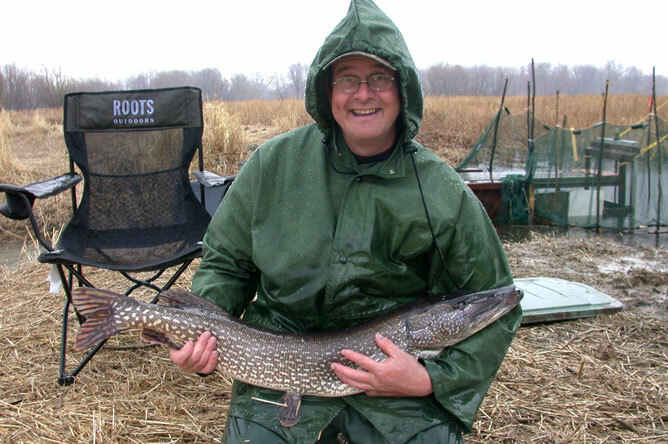 Paul Messier, wildlife technician and director of the Société d'aménagement de la baie Lavallière, collaborated on a project to monitor Northern Pike populations in a managed marsh on Île du Moine. 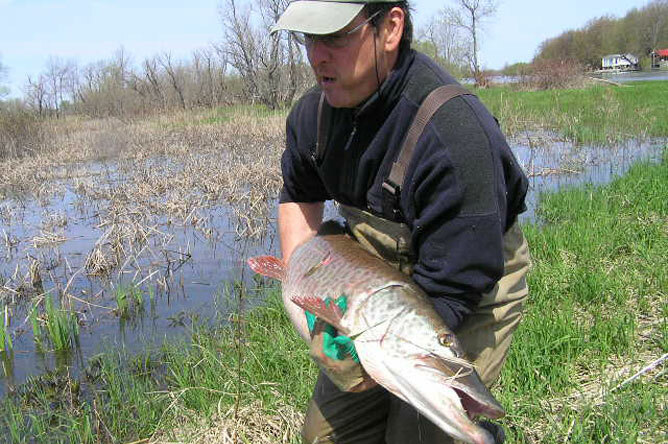 In 2008, he accidentally captured this Muskellunge. This large predatory fish, which is a formidable predator, was later released into the water.